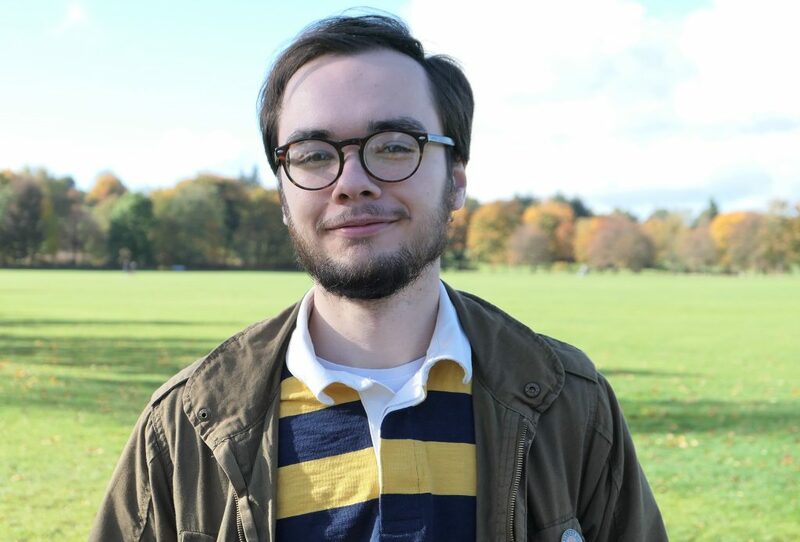 I am Brogan – an undergraduate Psychology student at the University of Stirling. I am in my final year, and it is rather rapidly drawing to a close. To give students the chance at some real-world experience, the university offers a placement programme. I was lucky to be partnered with Ideas for Ears. I’ll be aiding them in the next few months to gather information on how to improve the local area in and around Stirling. I first met Sally Shaw in the University, where we discussed the work that I would be helping Ideas for Ears with. Our second meeting was in the Macrobert Café, and Sally introduced me to the concepts of hearing access and the goals of Ideas for Ears. We had initially chosen a quiet area of the café but as we talked, people steadily began to fill in the empty seats around us. As the chatter in the background grew louder and louder, it quickly became clear to me that there was significant room for improvement for those with hearing loss. Sally provided facts and figures from Ideas for Ears’ previous work that punctuated these thoughts. Yet, what struck me most was how multi-dimensional hearing loss can be, both in how it can manifest and how it can affect those that have it. Our meeting left me a bit lost in the new information, but I felt ready for what needed to be done next. My first task was to write this blog post, which was a useful way to reflect on the information I have already learned and where I need to go now. In the coming weeks, I will be contacting several local community groups to encourage their members to fill out a survey about their experiences with hearing access. Their answers are a crucial next step in what can be done to improve their experiences. I look forward to taking part in this work and sharing the results! Welcome to the Hearing Hub Brogan. This invisible disability needs all the support it can get. I look forward to meeting you and hearing how you get on.